Have you ever wondered what the difference is between virgin coconut oil and fractionated coconut oil? When we recently started our research in to the doTERRA essential oils, they have fractionated coconut oil in the catalogue to use as a carrier oil to blend the essential oils in. Since we didn't know much about how or why the oil was fractionated, we decided to do some research on the different types of coconut oil available. When you look at the two oils, fractionated coconut oil is always runny. Virgin coconut oil is solid at temps under approx 25°C and melts on contact with the warmth of your skin and in summer just sitting in the cupboard. WHICH COCONUT OIL DO I EAT? You should only eat the virgin coconut oil. This is the whole oil extracted from the flesh of the coconut and has not been refined or processed in any way. It's not going to harm you if you ingest the fractionated oil, it just doesn't have the prized health & healing properties of virgin oil. Fractionated coconut oil is literally just a 'fraction' of the complete oil. 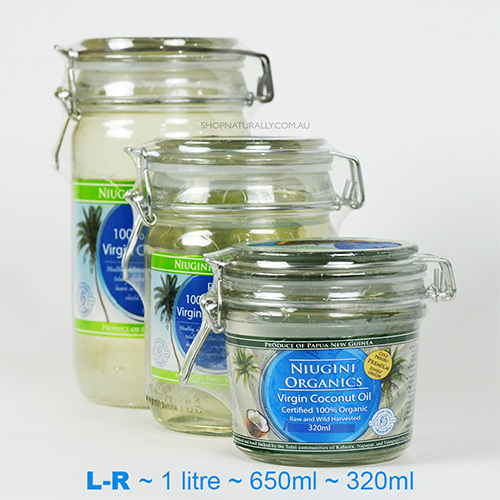 The highly prized component of coconut oil, the lauric acid, has antimicrobial properties, and as such, is used as a natural preservative and removed from virgin oil. What is left behind is a liquid oil that will not turn solid, a 'fraction' of the original oil. It also has a lower burning point which means it's not really suited to cooking with. Instead of discarding it, the natural cosmetic industry uses it. The fractionated oil can be really useful in the preparation of natural skin care and as a carrier oil for blending and diluting essential oils. When you pick up a moisturiser or a cleanser that has coconut oil in it, the chances are it's the refined fractionated oil. Cosmetically, it's more stable as it doesn't change from a liquid to a solid. WHAT ABOUT EXTRA VIRGIN COCONUT OIL?